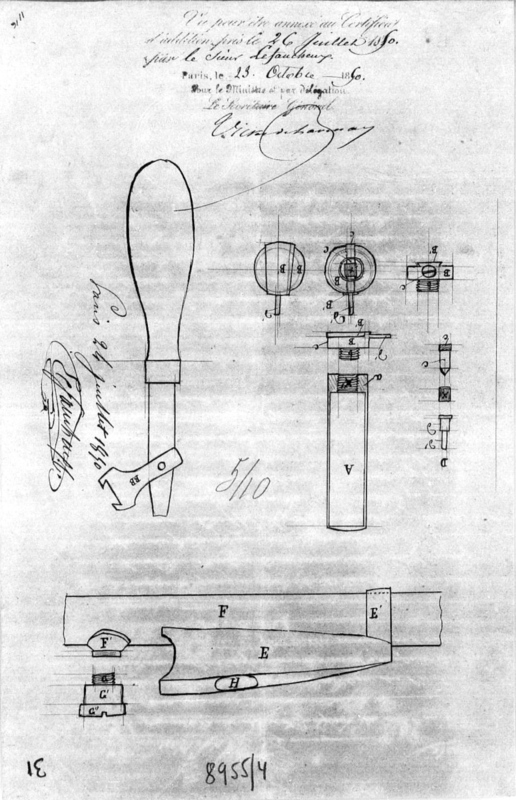 Here is the only copy of a patent by Casimir Lefaucheux that is known to exist in a private collection. This is French patent number 8955. It was filed on 26 July 1850 and approved on 23 October 1850. It describes a reusable pinfire shotshell that has a base that unscrews to allow easy reloading. 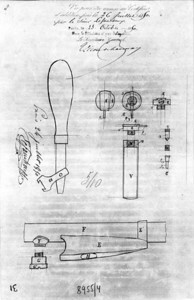 It also pictures a tool to extract the shell from the gun and unscrew it. 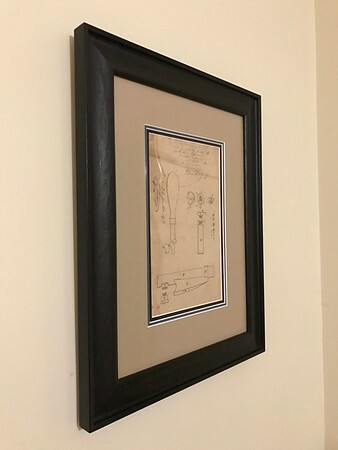 During the time period that this patent was made they would typically hand write and draw two copies of a patent; one copy for the French patent office and one for the inventor or patent lawyer. 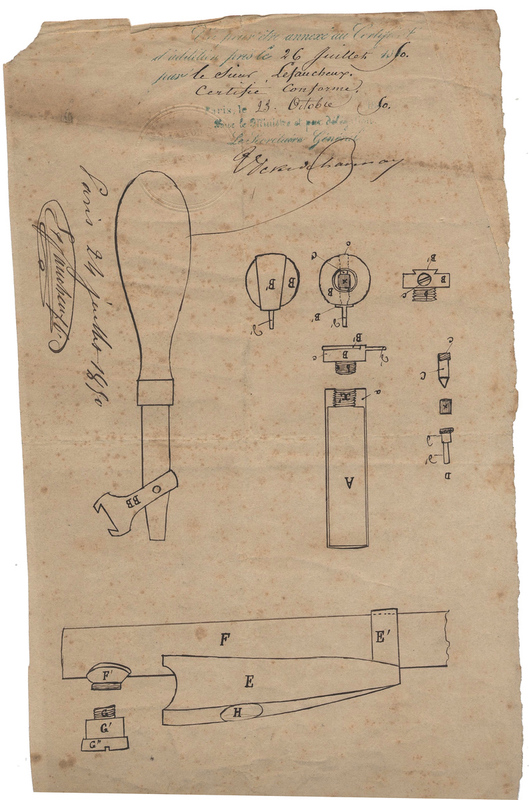 The copy in the French patent office is slightly different since they were hand made. This difference is most noticeable by the different location of Casimir Lefaucheux’s signature. It is thought than the majority of older documentation from Casimir Lefaucheux and his company was lost during the various German and US occupations of the Lefaucheux family castle. 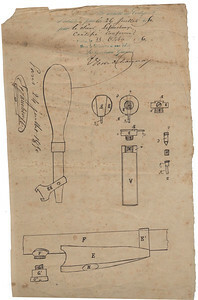 The Lefaucheux family archives have quite a few patents by Eugene Lefaucheux, Casimir’s son and the one who continued the business after Casimir’s death but they do not have any by Casimir. 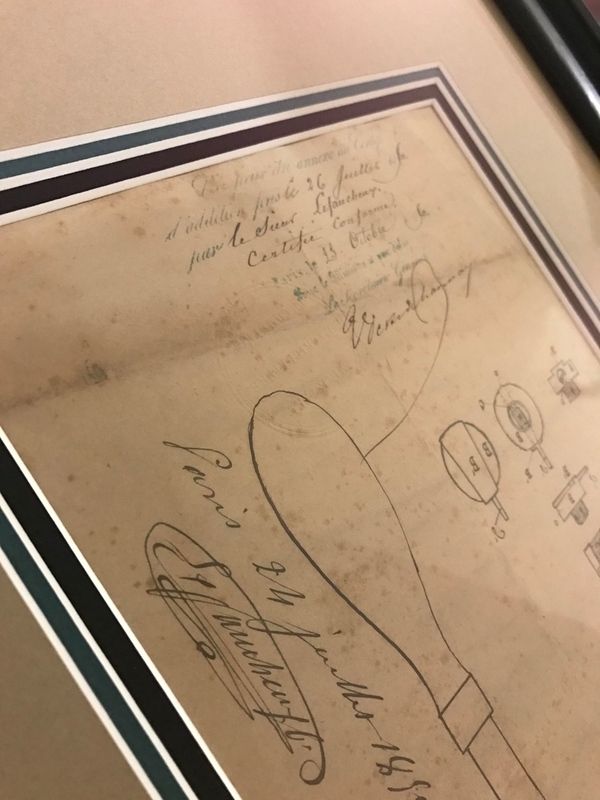 This particular patent and some others (along with their rights) were bought by Jules Gévelot and stored with many other documents in the attic of one of the Société Française des Munitions factories for many years. When SFM closed down in 1992, one of the workers saved many of these documents and sold a bunch of them to a French collector who has done a lot of research on and has written articles and books on SFM. Then on 15 September 2013 I was able to acquire it and had a conservator preserve it in museum-grade framing so it will be around for years to come!